Video: Simone Giertz Is Back On Youtube After Brain Surgery! Home / Entertainment / Viral / Video: Simone Giertz Is Back On Youtube After Brain Surgery! 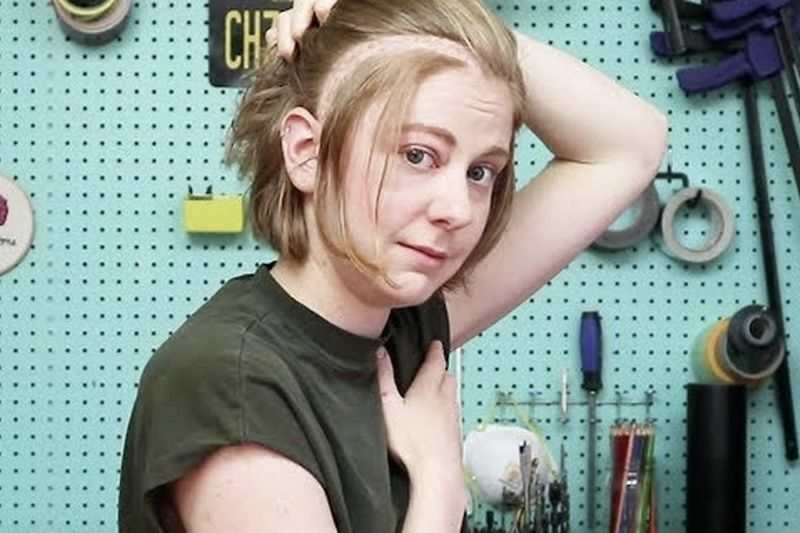 Simone Giertz is back with an epic brain surgery scar and an incredible story! YouTube start and queen of sh*tty robots, Simone Giertz, is back and tumour free! Although Simone made sure that her fans were updated at all times, we were all biting our nails waiting for the next sh•tty robot. She is back with an epic scar, an incredible story and a lot of inappropriate jokes. She explains to her fans what she actually went through and even went into the gory details... as promised. Even though she has a fresh new hairstyle, she is still the same old Simone and still making inappropriate jokes. Of course, she answered all her fans questions about brain surgery (even the inappropriate ones and indulged in a bit of oversharing (as only Simone can). Check out Simone Giertz's epic survival story in the clip below! Video: Simone Giertz And Her Brain Came Out Alive! Video: This Pepper Is So Hot It Can Effect Your Brain! Video: Animal Brought Back To Life After Being Frozen For 30 Years.. And It Laid Eggs! These Are Some Of The Most Epic Extreme Selfies!